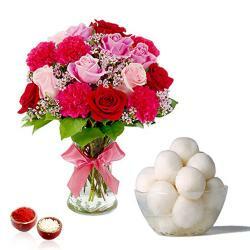 Product Consists : Bouquet of 25 Red Carnations, 16 Pcs of Ferrero Rocher Chocolate along with Free Roli Chawal. Any occasion is rather incomplete with a mouthful of delicate Indian Dessert. 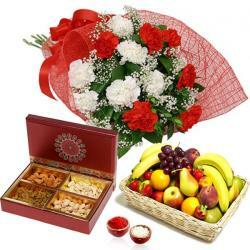 So if you are looking for a gift for a loved one, you can always send sweets to India in order to add to the festiveness. But Now a days Chocolates is a top of the list of dessert that goes well as a gift for any occasion. 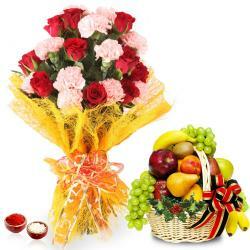 We have specially put together a hamper that comprises of all things perfect to be gifted on festivals like Bhaidooj. Containing a box of Celebrations Chocolate along with Ferrero Rocher and a Bunch of Red carnations, this hamper with Roli Chawal will definitely delight your brother. 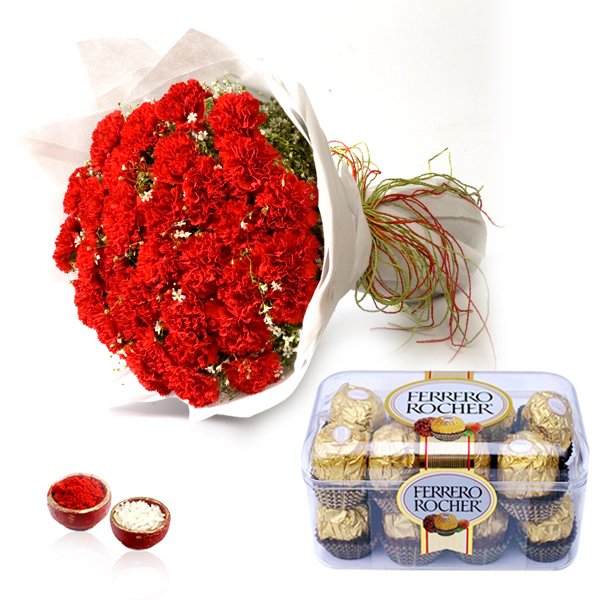 Product Consists : Bouquet of 25 Red Carnations, 16 Pcs of Ferrero Rocher Chocolate along with Free Roli Chawal.